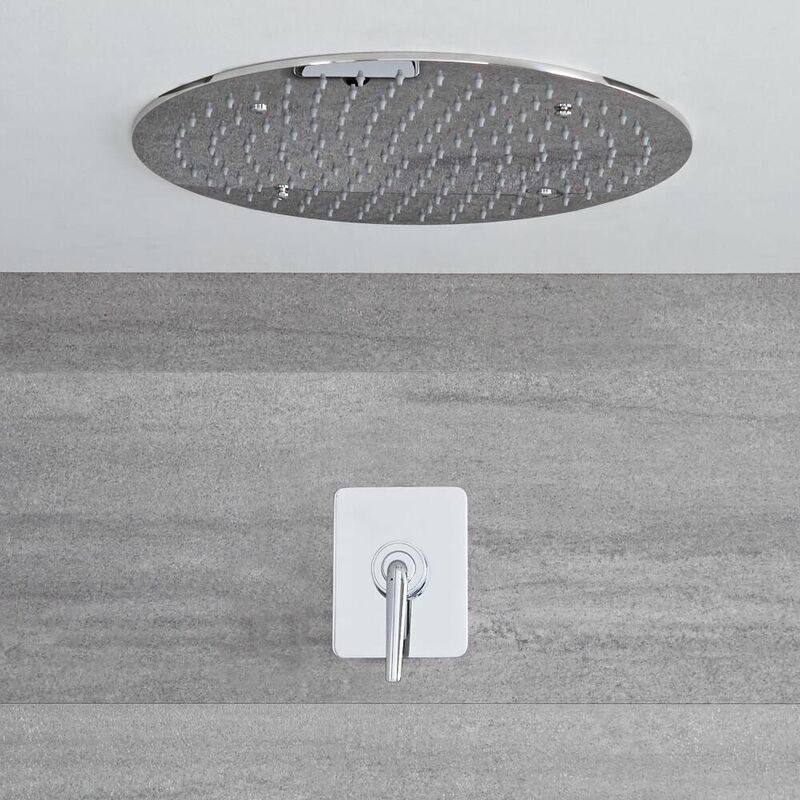 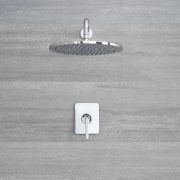 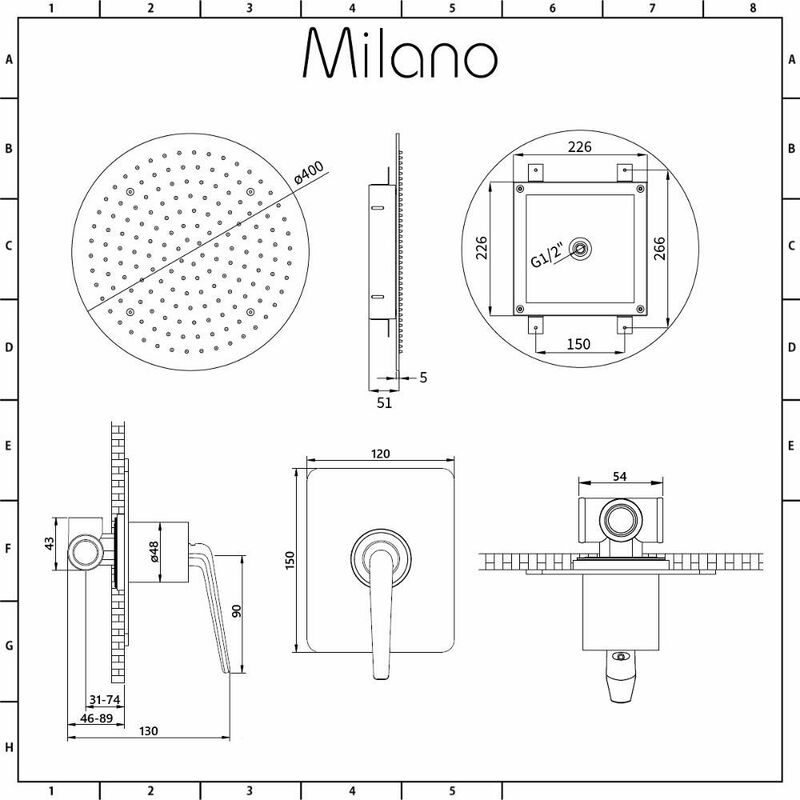 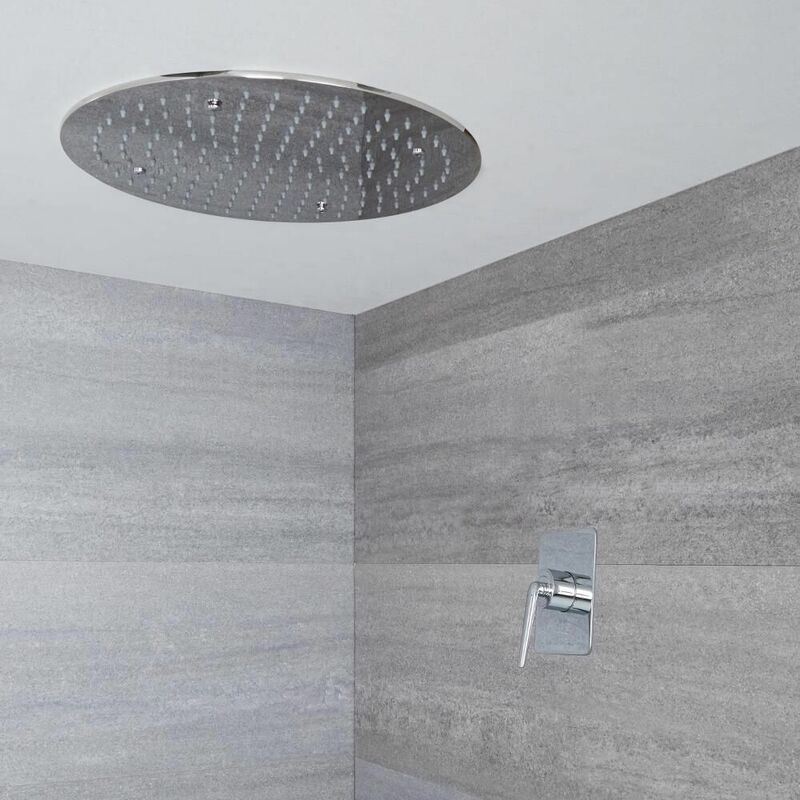 The Milano Vora manual concealed shower valve complete with 400mm round recessed shower head is a great option for adding designer style to your bathroom. 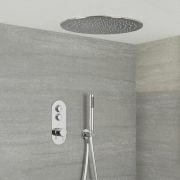 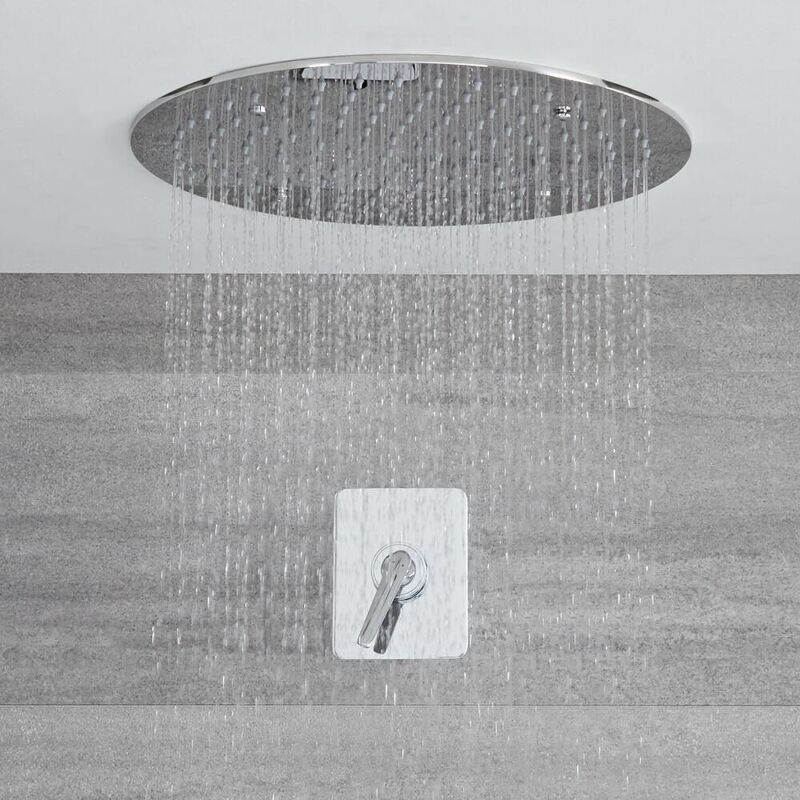 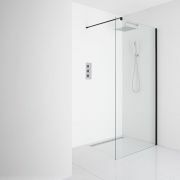 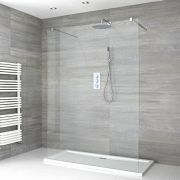 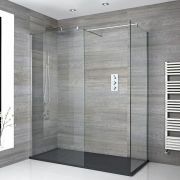 Designed to be fitted into the ceiling for a super-sleek finish, the shower head delivers a refreshing rainfall effect. 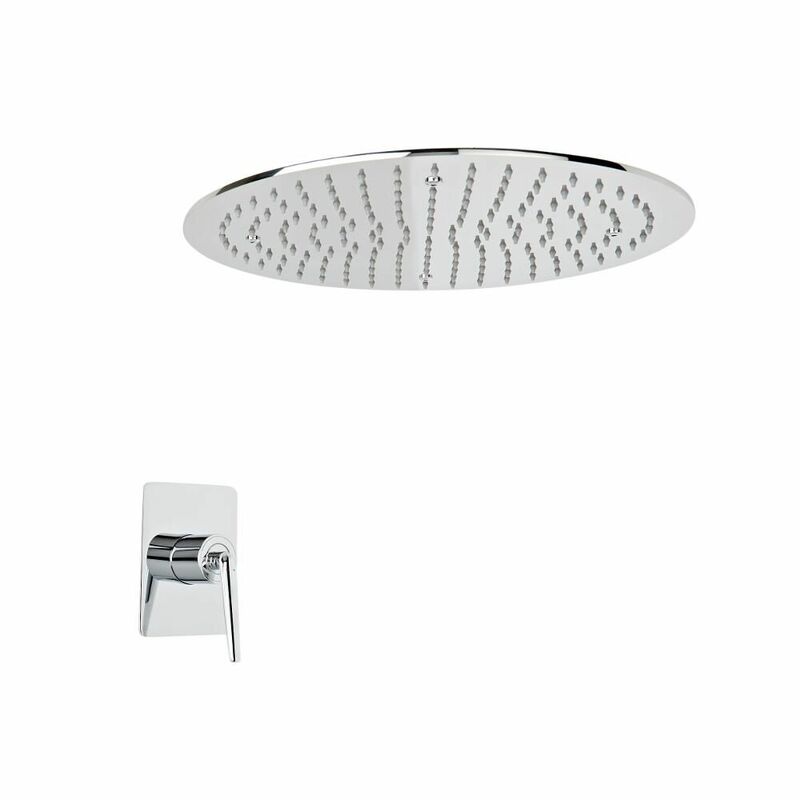 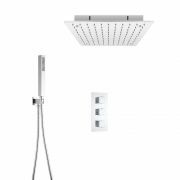 It has been made from stainless steel, for the highest quality and durability, and features 164 nozzles, so you can enjoy a luxurious water coverage with every shower. 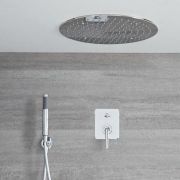 The nozzles are made of silicone and easy to clean, ensuring any limescale deposits can easily be wiped away. 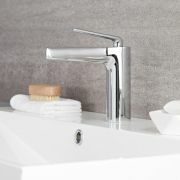 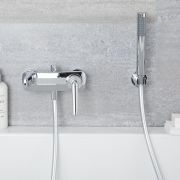 The solid brass shower valve has a unique contemporary design and a quality chrome finish that blends in easily with any décor. 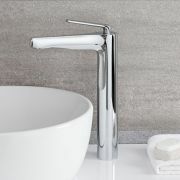 It has an easy-to-use lever handle that controls both the flow and temperature of the water.